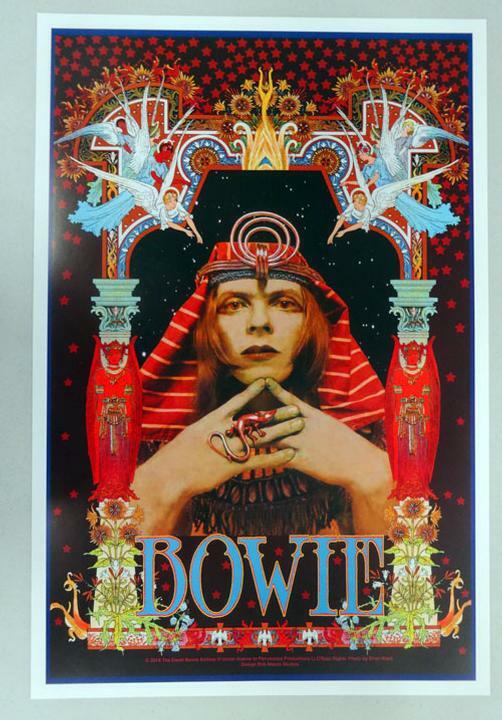 Concert poster for David Bowie. Artwork by Bob Masse. 16 x 24 inches.